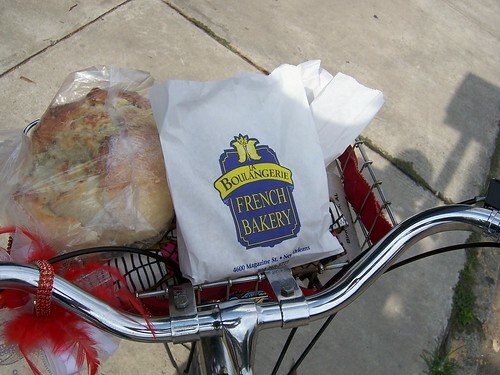 In my quest to get to know New Orleans I have been trying out my most favorite shops in the world- bakeries! So far I have had Sucre, la boulangerie, Laurel Street Bakery, La Madeline and Tartine. Not all of these are exclusively bakeries, but are known for their baked goods. I am not making any judgement calls just yet, but la boulangerie’s chocolate almond croissants made me weak in the knees, Tartine‘s blueberry scone nearly changed my life and the coffee was damn good at Sucre! 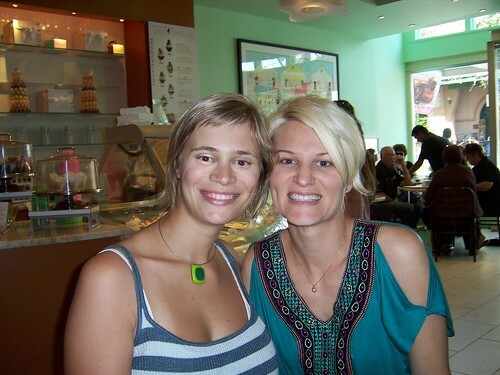 Sucre with Drea. Gelato heaven. Of course, these trips were by bike! 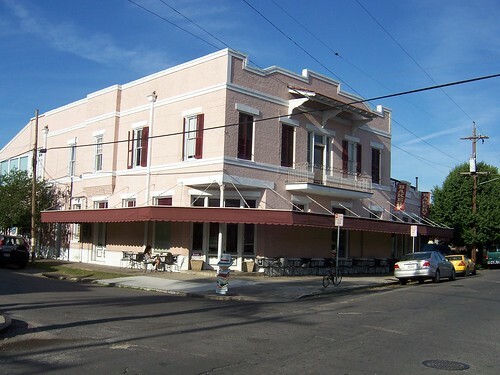 On the list to try next: Maple Street Patisserie, Gambino’s, Haydels and Freret Street Po-boys and Donuts. If any of you come to visit, you will have to help me judge. blue cheese bread!!!!! YUM! Next time I’m in NOLA I needs to get me some of that! BikeSkirt » Blog Archive » Weirdos ahead!